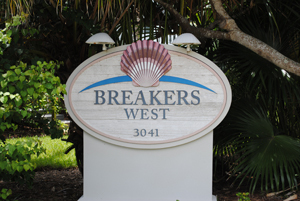 One of our favorite, and popular locations, for owners and returning guests is the Breakers West Condo located at 3041 West Gulf Drive, Sanibel Island. 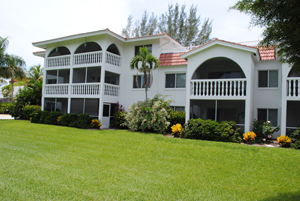 Built in 1972, and just steps to the beach, Breakers West is available for weekly rentals. 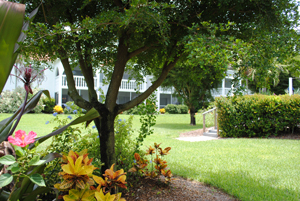 There is an onsite rental office for the convenience of owners and returning guests. The condo is on the small side with only 18 two bedroom, two bath units. 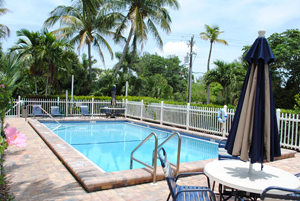 The unit sizes are 1250 square feet and overlook the pool and manicured grounds. Currently there are no units for sale, but if you are interested I can keep an eye out for units being listed and contact you right away! As with any Sanibel or Captiva property, just Contact Me and I can help you with your island dream! To see a tour of this property you can Click Here for a visual tour, or Here to check out my Breakers West webpage. Pictured to the right is the beach in front of Breakers West! 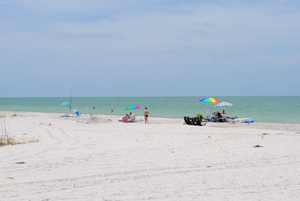 Our beaches are famous for shelling, fishing or just relaxing in the sun! If you want a bit of exercise before taking a dip in the cool waters, Sanibel has over 20 miles of biking/walking trails for you to enjoy! 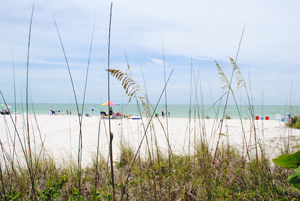 This is a great time for you to investigate all the properties available on Sanibel and Captiva Islands! Prices are very reasonable and mortgage rates are at historic lows. I am an island resident and I would love to show you my islands as well as answer your questions concerning Sanibel real estate and Captiva Island real estate!Contact me!! Also, I just had a HUGE reduction in price for one of my listings! A 1/2 duplex located at 1390 Middle Gulf Drive in Sea Pines subdivision. This home is just steps to the beach! The unit was $579,000 and now the current asking price is $485,000, making this an incredible deal! 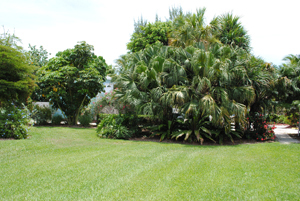 CLICK HERE to check it out and watch a visual tour of the property!